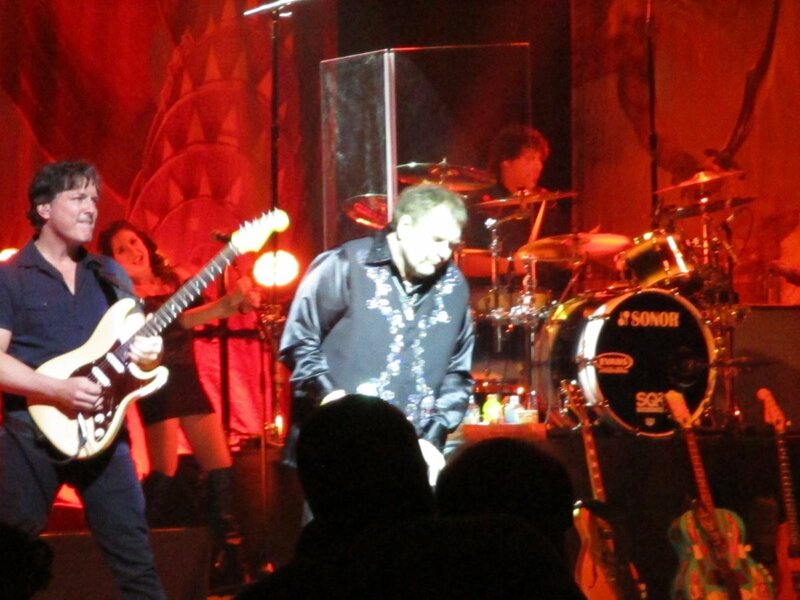 Meat Loaf has collapsed on stage during a concert in Edmonton, Canada. Video footage from June 16 concert in Edmonton shows Meat Loaf, whose real name is Marvin Lee Aday, falling on stage during his performance. Edmonton police said they had responded to a medical call, CBC reported. Meat Loaf, 68, is one of the most successful recording artists of all time with hits including Bat Out of Hell and I’d Do Anything For Love (But I Won’t Do That). Fans said they initially believed Meat Loaf’s collapse could have been a planned part of his performance, the Edmonton Journal newspaper reported. The Northern Jubilee Auditorium in Edmonton was cleared shortly after Meat Loaf collapsed and ambulances were seen outside the venue, the newspaper said. The singer canceled shows in Moose Jaw and Calgary earlier in the week because of illness, CBC said. Meat Loaf’s album Bat Out of Hell sold more than 43 million copies worldwide and continues to sell an estimated 200,000 copies annually nearly 40 years after it was released.